One of the biggest parts of strength training has nothing to do with how big you are, the loads you use, the volume you perform, or the time you spend in the gym. Most people have those aspects pretty well covered. The Mental Side of Training. Today, I am interviewing someone who knows a great deal about that. Logan Christopher. Jedd: Logan, thanks for doing the interview. Please tell us a bit about yourself and how you got your nickname, the Physical Culture Renaissance Man. Logan: I have to thank Geoff Neupert for calling me that in the first place. For those that don’t know, physical culture is an old term to describe all different aspects of health and fitness. And renaissance man is the term used to describe someone who is good at a wide range of things. The term is usually applied to people like Leonardo Da Vinci for his amazing work in art, music, sciences, invention and more. So basically this term refers to someone who is good in all different sorts of strength and fitness areas. If it’s related to strength I’ve probably done it. Some of the things I’m more or less regularly working on are heavy lifting, bodyweight training including hand balancing and gymnastics, oldtime strength feats, grip strength, kettlebells and more. Jedd: Logan, what does it mean to “Think and Grow Strong?” Your DVD Set is the first I had heard of this, and I think I have an idea, but tell us more. I came up with this title based on the famous wealth and business book Think and Grow Rich by Napoleon Hill. Everyone has heard the stories of old ladies lifting cars off of their family. Well if a person has that amount of strength stored within them strength training isn’t really about getting stronger but unlocking the power already within us. As you mentioned proper physical training is crucial and there is soooo much information available on that. Many people reading this will be quite versed in how to train to get stronger. But very few people pay attention to the mental side. What I have found with myself and clients is that how you use your brain will instantly effect the amount of strength you can put forth, thus you can literally think and grow stronger. Jedd: There have been some strength feats that I just knew right away I was going to attain and I did. Why is it that the way you think can have such a profound effect on something like strength training? Logan: Just think about it for a second. When we’re exerting strength our nervous system is sending signals to tell the muscles to contract. If the CNS sends a stronger signal than you can contract harder and thus be stronger. And its not about trying any harder. In fact, with many of these drills you get better results with less effort. I recently did a simple experiment using hypnosis and curls. I saw a 27% improvement on reps using my weaker arm than what I could do with my stronger arm. Jedd: Are some people born better able to optimize this mental strength than others? Logan: Yes, just like some people are born physically stronger than others. But they’re all trainable skills. Many people, when they see what I can do, assume I was always strong. That’s not the case. In fact I was a very weak and scrawny kid growing up. Although I was fairly smart I wouldn’t say I was mentally strong either. If anything what I did have was a strong will to succeed, and that too is a trainable skill. Jedd: Is this about repeating a mantra? Having motivational posters in the gym? What all is involved in this? Logan: No, no, no. A mantra is a form of affirmations. While they can work mantras are the weakest of any techniques I’ve seen. The problem with them is that if you don’t believe what you’re saying you’re actually going to be affirming the opposite of your desire. You have to be careful of these limiting beliefs, but once you know how, they’re actually quite easy to change once you’ve identified them. A motivational poster can do something but its not going to double your reps. Let’s talk about motivation. If you need to be motivated it means there is conflict between different parts of yourself. One part wants to achieve a goal and another wants to sit on the couch and eat cheetos. You can work to integrate these parts of yourself and then be congruent as you work towards what you want. And if you’re in this state than no motivation is necessary. Some of the main techniques of what I teach come from Neuro-Linguistic Programming, Hypnosis, Visualization and Energy Psychology. There are different ways to help you achieve whatever your strength training goals happen to be by using these methods. Everyone knows about visualization but few people practice it, at least regularly. But even with that I’ve found there are much more powerful tools. As an example visualizing yourself doing an exercise may help. But if you change HOW you visualize in specific ways, which changes your mental programming, you will definitely see an improvement. Jedd: OK. So it’s not just about practicing Mental Programming, but also about How You Do it. Awesome. Another thing that caught my eye about your Think and Grow Stronger Master Course is that you talk about “manipulating your past, present and future.” How is this possible? Logan: Time isn’t something that is real, in the sense that its not a physical thing. All it is is a mental construct that has many uses, but people also become trapped by it. All you really have is the present. In your mind you can go to the past and the future. Any exercise in goal setting is working towards a future time. You can also change how you frame the past. Just how much is possible with it? I think an example will show you what sort of manipulation you can do. At the Wizards of Strength Workshop I led Matti Marzel through a drill. He was already quite strong in that he did two handstand pushups against the wall on just the index finger and thumb of each hand. At the time this was the best he could do. I led him through a little drill accessing how he programmed this exercise within in his mind. I had him step into the future where he had continued to practice this exercise. In this state he had more for a “feeling of owning the exercise”. I had him step back to the present bringing that feeling with him. He then did another set and was able to get 4 reps. He doubled what he could do by manipulating his mental programming and the future. Jedd: When I played baseball, my dad always said I “wore my emotions on my shirt sleeve.” What exactly do emotions have to do with all of this? Logan: The emotions are intimately tied into your thinking processes. Psyching up is a form of mental training that is common among strongmen and powerlifters. To get into this state people use anchoring, even if they’ve never heard of that term. What are they doing? They’re doing something to trigger their emotions, usually anger, to enter an altered state where the can lift heavier things. And it works. BUT there are better methods and while it works for non-complex heavy movements, psyching up does not work as well for everything else. Different emotional states are more or less useful for different lifts and exercises. Jedd: Logan, I truly believe having your Mind right is a huge factor in success with strength training. I have seen people wrap up horseshoes and steel bars and then just before they attempt the bend they say, “I’ve never been able to get this.” And sure enough, they fail. I would love to put together a resource to help people improve this, but your Master Course is amazing. Please tell people about it and how to get it. I know you are planning on retiring it and it won’t be around much longer. Logan: Limiting and empowering beliefs are such a huge aspect of success in any field. These not only directly responsible for your success or failure in training, but whether you even train and how you do it in the first place! The Think and Grow Strong Master Course is a huge amount of information. 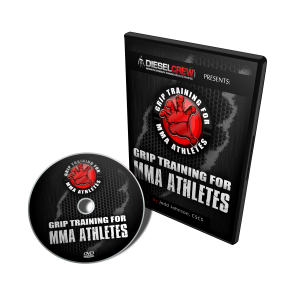 It originally began as a monthly program but is now available all in one set. Ten modules cover all of the areas I’ve discussed and more. In total there is a binder full of written manuals, 12 DVD’s and 5 CD’s. The CD’s have hypnotic tracks that all you have to do is listen to in order to help you get stronger, gain muscle or lose fat. And they work. But I’ve decided to retire this course and pull it off the market. I’m doing this to make way for new information in the future like my upcoming book Mental Muscle. So once this month is over it is gone for good. But right now you can get it for about one third of the price. My guarantee is that with this course alone you’ll be far beyond any personal trainer and even sports psychologist out there in knowing how to properly use mental training. I only have a few copies left and if they don’t sell out right away I’m pulling them off the market for good at the end of this month. It’s likely that you have spent a decent amount of money in acquiring training information in the forms of books, videos, certifications, etc. The great thing about mental training is that it builds on top of whatever knowledge you currently have. Regardless of how you’re training or what you’re training for it can be added on top to act as an accelerator for your goals. If you want an edge on your competition, whether you are in strength sports, more classic sports, are a coach, or just want to look better, this could be the final piece to the puzzle to make your preparation complete. My friend Rick Kaselj, with whom I worked on Fixing Elbow Pain and Fix My Wrist Pain, has a product which has become an ongoing series called Muscular Imbalances Revealed. Every August, he puts out a new edition of this program, with new guest experts, and this year he has put out a new installment on correcting issues throughout the body. The new edition this year focuses on unconventional training tools, and how they can help correct weaknesses and imbalances through the upper body. 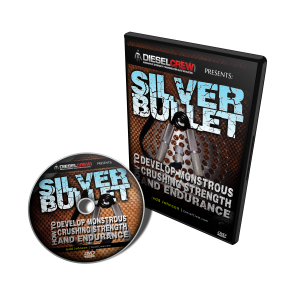 Much of the features of this program entail the use of equipment I have talked about often here at DieselCrew.com. Sledge Hammer Training – Great for the Grip, Sledgehammer Training also gets your heart going while also training the core and glutes. It is also a great contrast training methdo for those who perform a great deal of kettlebell work. Ring Training – If you have weaknesses in your shoulders, chest, or back, this type of training will find it and correct it. Much more chaotic that training with barbells, benches, and dip stations, Ring Training makes you learn proper stabilization. Sled Training – If you aren’t including some type of sled work, they you most likely have not optimized your lover body recovery. 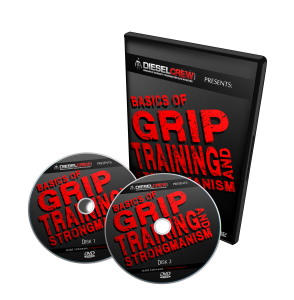 This type of training has become a staple for many powerlifters and strongmen all over the world. Tire Flipping – One of the Strongman events that creates the most power, this is a great exercise for strengthening the posterior chain as well. The hammies, glutes, andd lower back are much too weak for some people, and this can help correct that. Reverse Stretching – Most people don’t stretch enough period. This section shows you how you can perform essential stretching to correct muscle and fascia issues to address flexibility issues that are hindering your strength development. If you have seemingly tried EVERYTHING in order to fix your imbalances and it has not worked, then this just may be the information you need. Over the course of this week, the authors have put out samples of their portions of the program, and I have assembled them all here for you. As you can see, this isn’t the same old boring re-hashed B.S. you’ve probably seen 100 times before. These guys are showing you how you can take unconventional tools and use them to improve your training in ways you might not have thought of before. To get this program and start viewing it right away, click here = > Muscular Imbalances Revealed: Unconventional Tools. I can’t hold back any longer! I am here to expose the Matrix. Have you ever seen Keanu Reeves? Yes, he rides a motorcycle. Yes he has a band. And yes, he has a very substantial beard. I mean he could either be the 4th dude from ZZ Top, or rent the space in his beard for a butterfly or sparrow retreat.